Trees are without a doubt, our most valuable landscape investment! Whether you’re interested in their ornamental value for your property, their contribution to energy and water savings at your home or business, or the many other ecosystem services they provide, this program covers it. 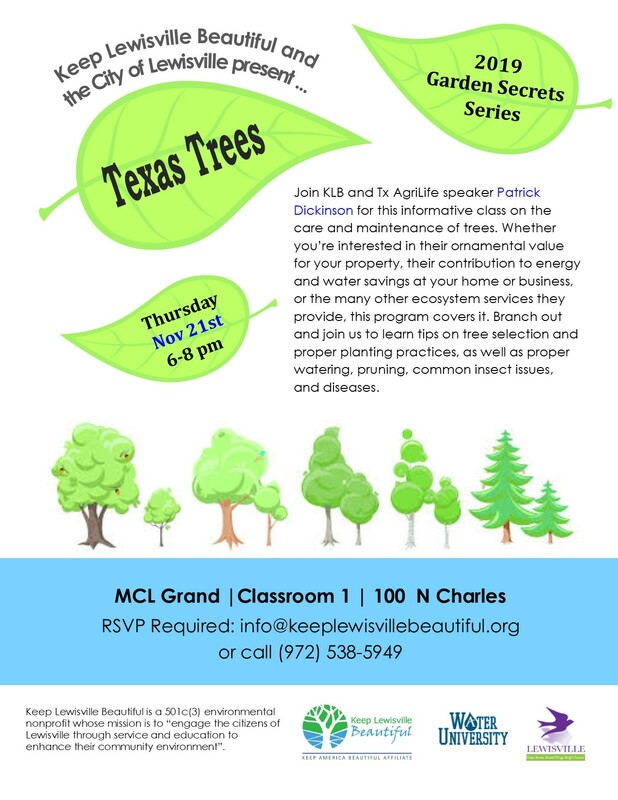 Branch out and join us to learn tips on tree selection and proper planting practices, as well as proper watering, pruning, common insect issues and diseases.